Creating fresh, unique media content is a lot like creating fresh, unique beer. There are thousands of intricate steps to follow, and the payoff is usually delicious. 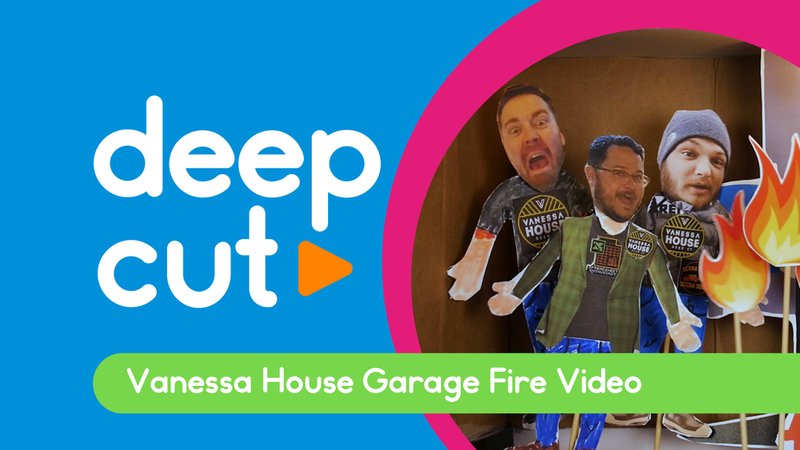 Thankfully, we have yet to cause any fiery explosions in our production room…unlike the Vanessa House crew. When we heard the story behind their new Garage Fire Pale Ale, we knew we had to share it with the world. Since we didn't have access to a fire truck or a spare garage to burn down, we recreated the incident with puppets. After interviewing a few of the VHBC guys at the former scene of the crime—Wasting beer is a crime, right?—we got to work creating a tiny replica set using recycled Amazon boxes, leftover Christmas crafts, and a handful of chopsticks from Becky's house. With some expert crafting help from Vanessa House co-owner Andrew "Geppetto" Carrales and a little bit of movie magic, we were able to bring the traumatically hilarious accident to life. 2019 Update: This video took home a gold at the Oklahoma ADDYs!